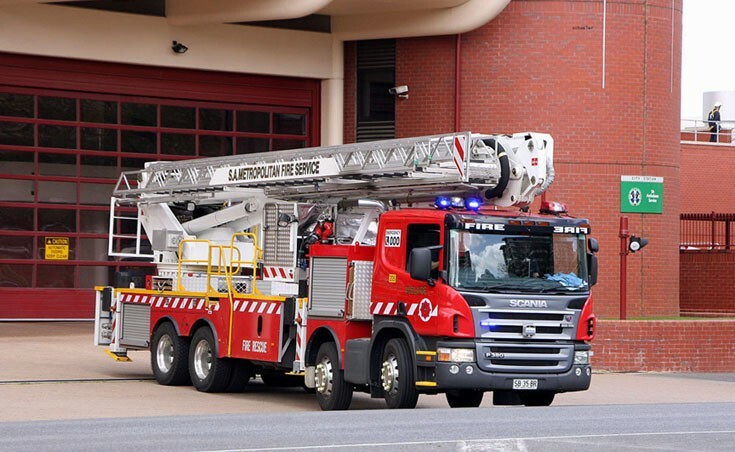 Ladder Platform 205 seen here at South Australia Metropolitan Fire Service headquarters in Adelaide, South Australia. Hi Steven, Nice photo's of Scania Bronto ALP. Who built the body and is it a F38 or bigger. I'll post a picture of the C.F.A. New Scania Bronto, ALP F42. Spot the difference - mostly in the cab and front. Added by Graham Dickens, Australia on 06 October 2010.